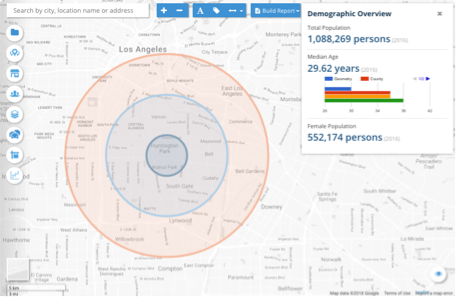 PiinPoint is a fast, intuitive, and affordable platform to help businesses find the best locations for expansion. Yet so many businesses rely on traditional methods that are inaccurate, time-consuming, and needlessly complex. PiinPoint delivers powerful location insights in seconds, so you can make crucial real estate decisions with ease and confidence. "PiinPoint makes sure we’re making informed decisions whenever we’re exploring new markets." "With PiinPoint, we’re able to better organize our portfolios and prepare insightful reports for any expansion." It’s nearly impossible to make sound decisions when you’re relying on datasets and models that are outdated or missing key information. PiinPoint delivers up-to-date and comprehensive insights so you can grow with confidence. We’ve partnered with the industry’s leading data providers to deliver the highest quality insights available. Validating real estate is an incredibly time consuming process. Long lead times on data requests, scattered sources and needlessly complex platforms cost both time and money. PiinPoint answers your site selection questions immediately. No more waiting on data providers or sorting through spreadsheets to get the insights you need. Now you can spend less time gathering data and more time focusing on strategy. Expansion decisions are rarely made by just one team, yet most site selection tools can only be understood by GIS pros. 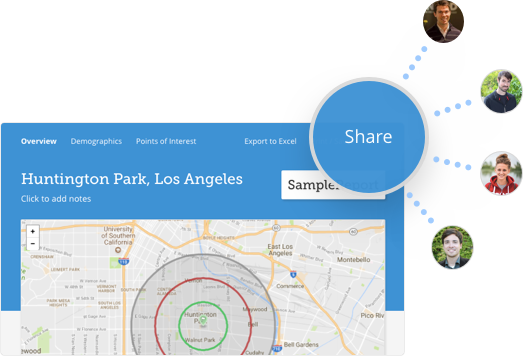 PiinPoint is specifically designed for sharing and collaboration. You can quickly create beautiful site packages and share them with anyone. 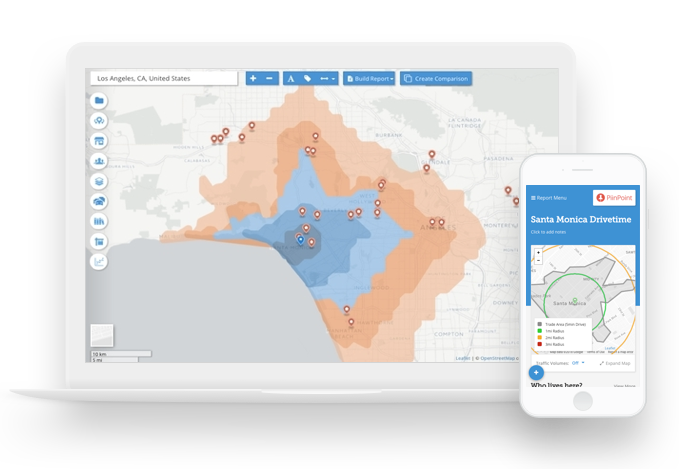 PiinPoint’s ease of use ensures anyone can start gathering insights, even without a GIS or mapping background. We have an experienced data science team that can build you custom models for predicting sales, identifying the most suitable sites, simulating store openings and more. Stop spending hours collecting traffic counts, competition and demographic data. For just $49, PiinPoint can generate a custom site package that you can share with your client or team.